The last BNL-3 to ever be sold was shipped from Technidyne Corporation (New Albany, Indiana, USA) last week. Nearly 700 BNL-3 (and previous model BNL-2) TAPPI Opacity instruments have been manufactured and sold since 1978. 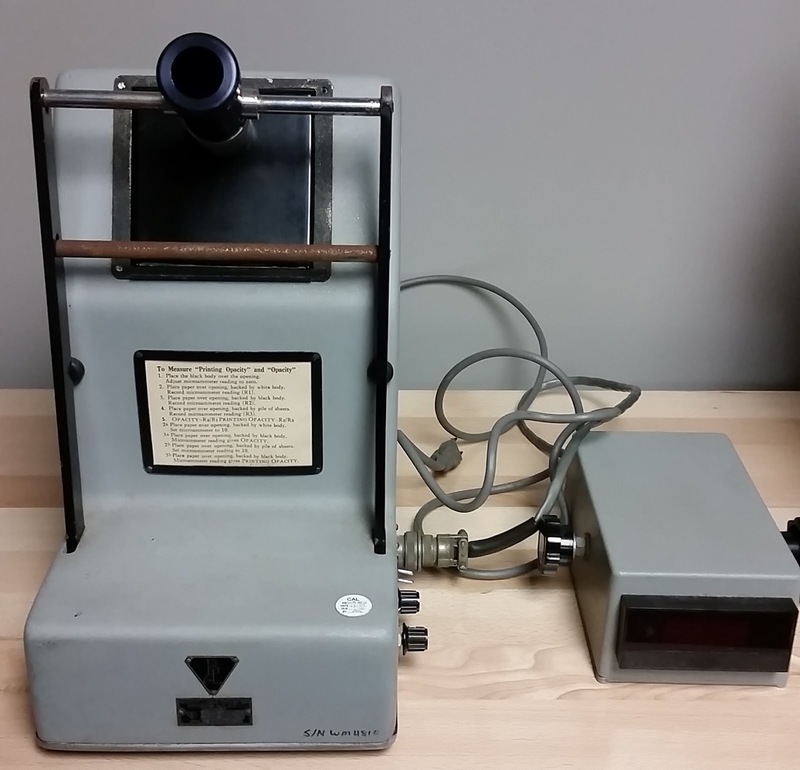 Developed in the 1930's, Bausch & Lomb was the original manufacturer of the TAPPI Opacity instrument. TAPPI T 425 was written around this instrument which was developed to measure of the hiding power of a material. In most applications, it is a sheet of paper or a single layer of flexible packaging. The initial idea was to compare the reflectance of a single sheet backed with a black body to the reflectance of a single sheet backed with a white backing with the highest known reflectance. Bausch & Lomb sold the rights to the opacimeter to Diano Corporation (Woburn, MA, USA) around 1970. Diano also purchased the rights to the GE Brightness design originated by Kimberly-Clark and General Electric (the basis for TAPPI T 452) from Martin Sweets Company (Louisville, KY, USA). Jerry Popson was an employee of both Martin Sweets and Diano. He was involved in design and sales of the equipment. He started Technidyne Corporation in 1974 with the opacimeter and brightness tester. 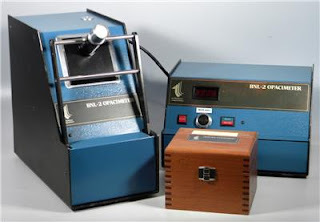 The BNL-2 Opacimeter™ was manufactured by Technidyne from 1978 to 1987. The BNL-3 Opacimeter™ was manufactured by Technidyne from 1987 to 2016. A new generation of laboratory testing, TEST/Plus™, has an opacity testing instrument. TEST/Plus™ Opacity by Technidyne Corporation includes the key elements of the design of the original opacity instrument along with modern electronics and user interface. 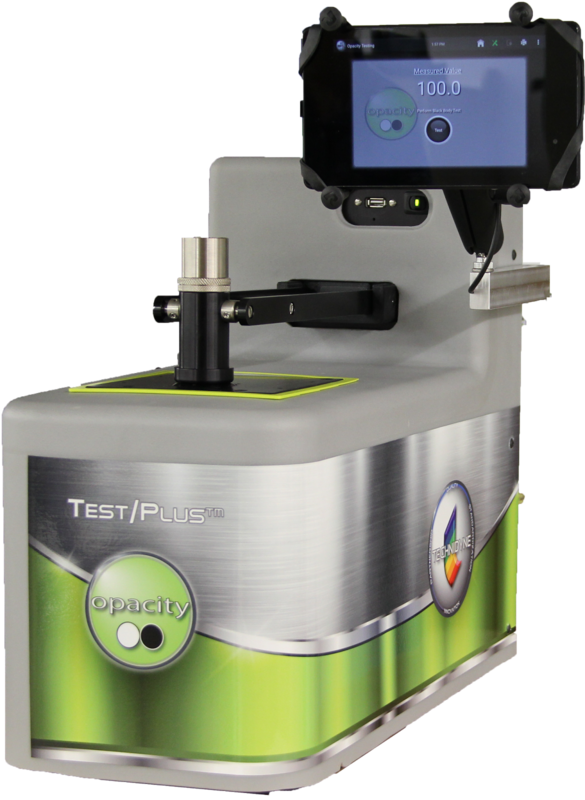 The TEST/Plus™ Opacity instrument is current available. Tensile breaking strength has always been considered the most fundamental strength test run in the Paper Industry. It is more complicated than it appears since it involves tensile, shear and flexural forces acting on the fibers and bonds in the sheet. In a tensile measurement, a paper specimen of uniform width and length is clamped between two jaws. The jaws are then separated to exert a tensile stress on the specimen, and the instrument indicates the tensile force when the specimen ruptures. Most modern instruments also indicate the stretch and tensile energy absorption (TEA). TEA is the area under the stress-strain curve. It is proportional to the energy that the paper can absorb up to the breaking point. 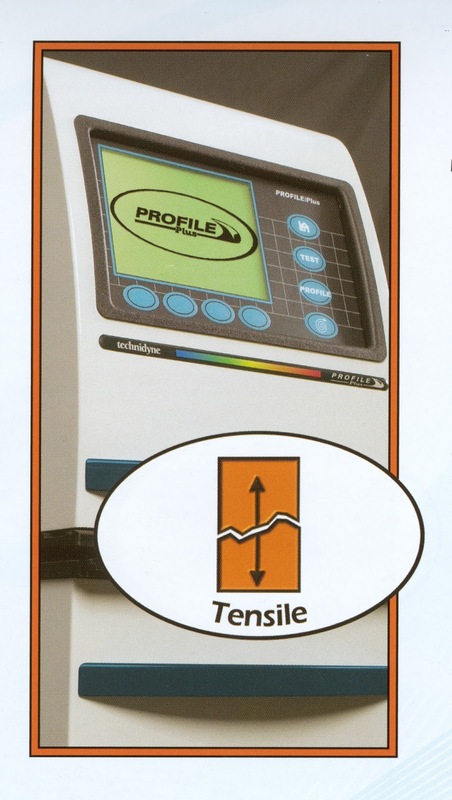 In the Paper Industry, vertical and horizontal tensile testers are most common. However, there is the pendulum-type tester as well. 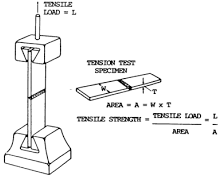 Sample width and length are important variables in the tensile test. Longer specimens give a greater chance for weak points to exist, provide initiation points for rupture, and result in lower tensile strengths. TAPPI Test Method T 494 specifies that the test specimen be 25 +/- 1 mm wide and long enough to be clamped in the jaws when they are 180 mm apart. Also, the specimen must have sides parallel within 0.1 mm. Tensile breaking strengths are reported as the force per unit width required to rupture the specimen. This is often reported as lb/in or kN/m. Tensile breaking strength corrected for grammage is called the tensile index. A similar quantity called the breaking length is also used for reporting grammage corrected tensile strength. Breaking length is defined as the length of a strip of given paper that will cause it to break under its own weight. It is calculated by dividing the tensile breaking strength by the grammage. Tensile strength can vary dramatically from machine direction to cross machine direction. Tensile strength is a direct indication of the durability and potential end use performance of a number of papers that receive direct tensile stresses in use, such as wrapping, bag, gummed tape, cable wrapping, twisting papers, and printing papers. In general, a certain minimum tensile strength is required of any paper that undergoes a web converting operation where it is subjected to tensile stresses during startup and while being pulled through the process. Printing papers are a primary example of this. There are several ways to increase the tensile strength of paper. For example, increasing beating or refining, increasing wet pressing, adding a beater adhesive, increasing long fiber content of the furnish, and increasing the basis weight will all usually lead to improved tensile strength. Do you see any change in the use of tensile tests and measurements? Are there applications where a pendulum-type tester is preferred over a vertical or horizontal tensile tester? Why? Is there a good way to estimate tensile with other tests? NOTE: Tissue and wet tensile are discussed under a different blog post. 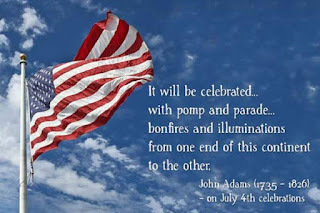 Monday is the 4th of July, a holiday and celebration of independence in the USA. Work and pray for the independence and freedom that has allowed us to be successful and strive to make our dreams a reality. Technidyne appreciates the opportunities that have allowed us to exist, dream, work, and succeed.